Holly is a beautiful arrangement that really brings Christmas to a home. With beautiful roses, winter berry and golden dashes. Holly is a perfect gift to send this Christmas. 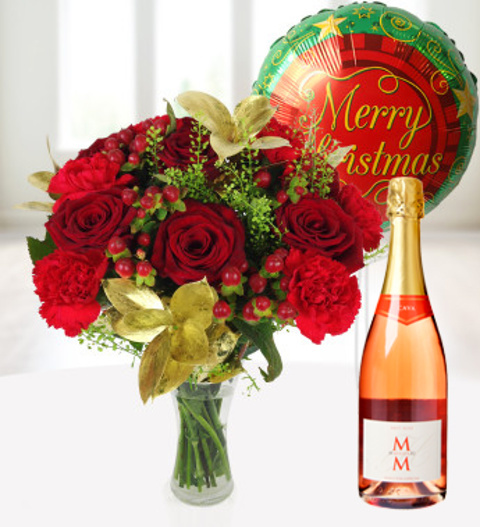 The bouquet comes with a delicious bottle of Rose Cava 750ml 12%, a helium filled festive balloon and a FREE box of Belgian chocolates. Our Holly Christmas bouquet is available for UK next day delivery. Chocolates may contain nuts.